One of the hardest things to eat when you’re maintaining a whole 30 or paleo diet is the asian cuisine. Most of it has carbs, soy, sugar, etc…but the reality is that asian cuisine is probably my top choice in food. I mean, I love french food but it’s really hard to go out and eat that all the time. 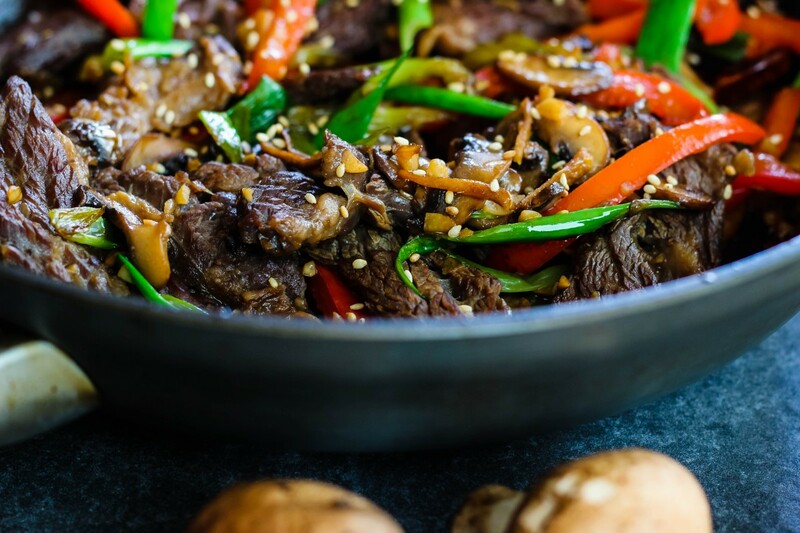 But I definitely miss eating some good ol’ chinese food, so I knew I was going to have to experiment and come up with a few dishes of my own that I could eat guilt-free! 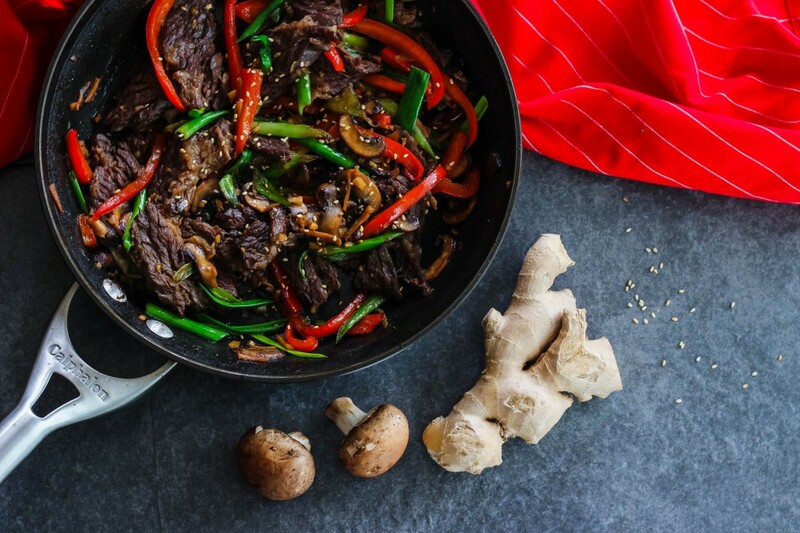 Enter my whole 30 mongolian beef! 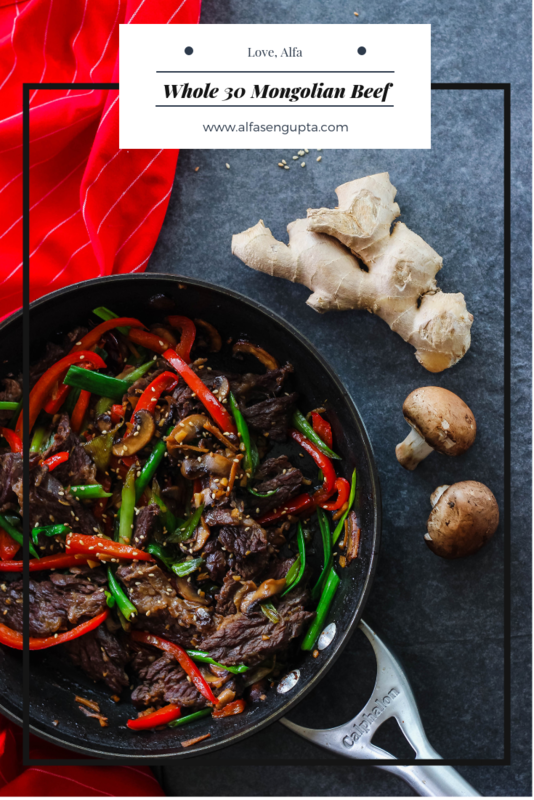 Mongolian beef is one of my husband’s favorites, and when he gave me the green light that this was delicious, I had to get it up on here STAT!! It came together in under 30 minutes, which to me is a total win! 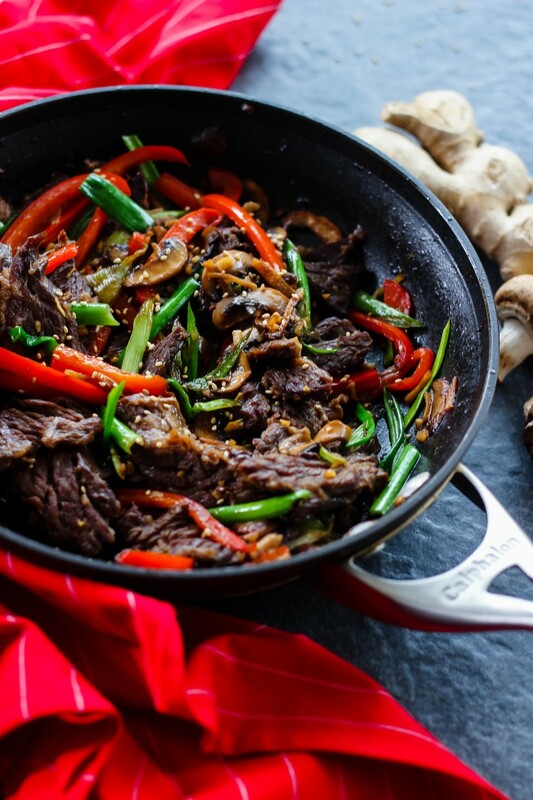 Marinate the beef with the coconut aminos, fish sauce, and sesame oil. Let it sit for at least 20 minutes. You could also prep your veggies, while it marinates, which is what I did! Heat the avocado oil to medium/high heat in a large skillet. 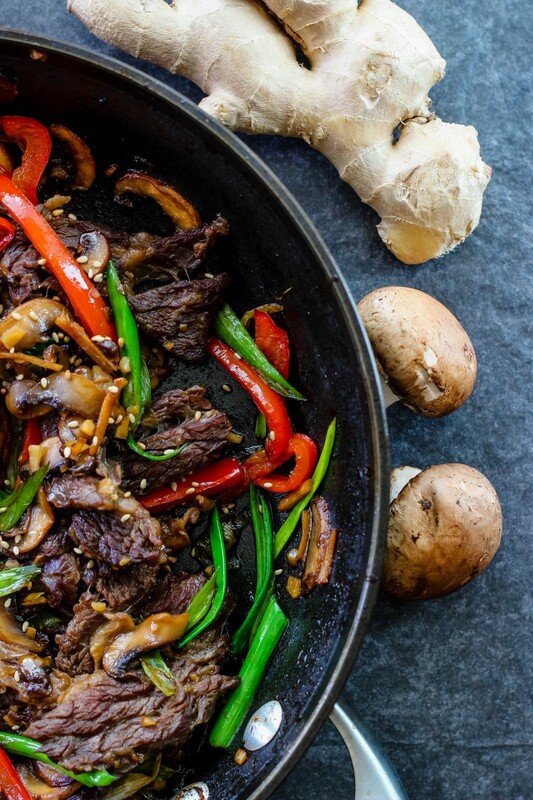 Stir fry the beef until it’s no longer pink. Set aside. In the same pan (add more oil if need be, but I usually don’t need it), saute the ginger, garlic, white parts of the scallion, red peppers, and mushrooms with a pinch of salt. Saute for a few minutes until fragrant. Add the beef back into the pan along with the green parts of the scallion and toss it all to combine! Top with sesame seeds if you want or serve by itself. Eat it with rice if you’re not following the whole 30/paleo diet!